Without question, next-generation sequencing (NGS) has been immensely successful, even if it hasn’t transformed medicine just yet. Sequencing itself has become nearly trivial. Declining costs have made it widely accessible. 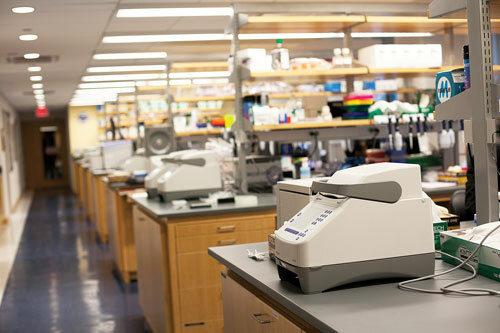 Recently, the rise of affordable benchtop NGS instruments promises to democratize the technology further, extending it out from large sequencing centers into smaller labs and clinics. Today, the bigger challenge is deciphering the vast NGS datasets of wide-ranging data types—RNA-Seq, ChiP-Seq, exome, etc.—in order to inform biomedical questions ranging from evolutionary heritage to the functioning of cellular molecular machinery. NGS data analysis was among the many topics discussed at last month’s “NGX: Applying Next-Generation Sequencing” meeting. Integrating various NGS data into networks that are both manageable in size and likely to be true was the core of a talk from MIT’s Ernest Fraenkel, Ph.D., associate professor of biological engineering. Interpreting high-throughput data, he noted, can be like reading “The Hitchhikers’ Guide to the Galaxy,” in which the meaning of life and the universe turns out to be the number 42. Two recent papers describe his approach, which does not rely on published literature or traditional pathway analysis. Rather, the method uses only the physical interactions. The basic idea is to connect those interactions within true biological networks of manageable size. Dr. Fraenkel uses a graph-based Prize-Collecting Steiner Tree (PCST) algorithm to build networks. 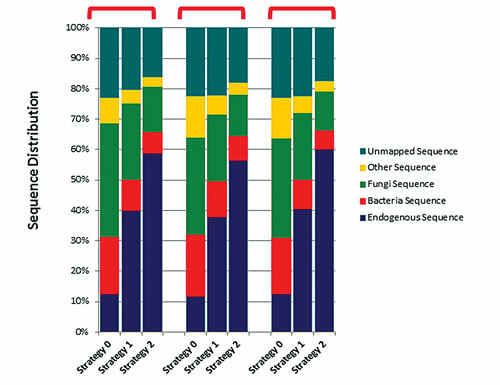 Drawing upon roughly a quarter-million physical interactions reported from experiments and data from a given NGS experiment, this PCST-based method identifies highly probable networks. Every interaction—including the quarter of a million he’s already gathered—is given a probability based on reliability factors such as the experimental method used and number of times reported. The number of possible network connections is huge. PCST winnows them down. Dr. Fraenkel and his colleagues have set up a website with links to several tools including its PCST tool. “You can upload a list of genes and press a button and it sends an email back when it’s solved the problem,” he said. Sample heterogeneity is a significant challenge when analyzing NGS data. The problem is well captured in a 2011 PLOS One paper from conference speaker Ting Gong, Ph.D., assistant professor of molecular carcinogenesis at MD Anderson Center and her colleagues. She has since extended a version of her computational method, first used with microarrays, for use with NGS data. Speaking at “NGX”, Dr. Gong discussed a statistical pipeline for distinguishing heterogeneous tissues and cell types based on RNA-Seq data. The method works by generating gene signatures by analyzing data from the ‘‘pure’’ samples—or training data—and applying these signatures to estimate the mixing fractions for the complex samples. Dr. Gong’s group has released an open-source R software package, dubbed DeconRNASeq, for other researchers to use. Fostering collaboration and providing tools able to span research and the clinic remain pressing needs, said Toby Bloom, Ph.D., deputy scientific director of informatics at the New York Genome Center (NYGC). Her talk provided a glimpse into emerging needs. The center, she said, is providing both computational work and data storage for participating organizations and their collaborators. Speaker David Galas, Ph.D., principal scientist, Pacific Northwest Diabetes Research Institute (PNDRI), discussed work in which he and his colleagues discovered exogenous RNA in plasma. They noted that some of these RNAs may be associated with proteins, lipids, or other molecules protecting them from RNAse in plasma. Of these, some were detected in intracellular complexes that could influence cellular activities in vitro. “These findings raise the possibility that plasma RNAs of exogenous origin may serve as signaling molecules mediating, for example, the human-microbiome interaction and may affect and/or indicate the state of human health,” the researchers wrote.